4 Bedroom Detached House For Sale in Leatherhead for Guide Price £995,000. 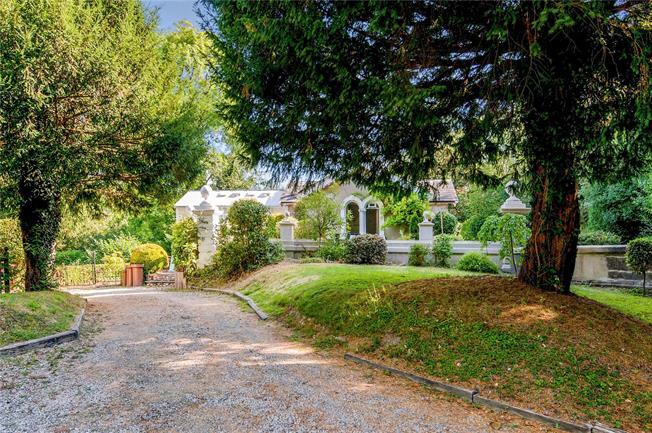 A delightful extended Grade II listed property dating from around 1830 and formerly part of The Cherkley Court estate owned by the Beaverbrook family. The property has been sympathetically extended over the years creating a comfortable and adaptable home. The accommodation comprises of entrance hall providing access to the sitting room - this is a triple aspect room with wood stripped flooring and open fireplace. The dining room has a wood burning stove and there are two bedrooms adjacent with a luxurious family bathroom, a separate shower cubicle, roll top white traditional bath and WC. The impressive kitchen/breakfast room has a range of high quality furniture complemented by granite work surfaces, a central island and an Aga. The far reaching views toward Norbury Park are superb. Beyond the kitchen there is a second bathroom with stairs leading down to the master bedroom with a range of fitted wardrobes and a door directly out to the garden. The gardens are delightful with various seating areas where one can take advantage of the wonderful views and include a side terrace affording a westerly aspect. The gardens offer a good degree of privacy and seclusion and as a whole are an outstanding feature. There is a detached self contained coach house with a studio/annexe above and garaging provisions below. A timber lodge cabin is also in the grounds, possibly making an ideal home office. In all the land extends to about 0.37 of an acre. The property is located in a stunning location and enjoys far reaching views set within a secluded plot on the southern edge of Leatherhead. The area surrounding the house offers excellent walking and open space with the River Mole being about 1 mile distant and the National Trust owned Box Hill and Polesden Lacey both close by. Leatherhead mainline station offers a commuter service to London whilst the M25 is accessed at Junction 9 which in turn gives access to the A3 at Junction 10.